A Collection of Bob Hartman's Best Stories especially for reading aloud. The best of Bob Hartman collected to make story time the most exciting part of the day, filled with adventure and laughs. This awesome anthology contains over 75 tremendous tales from all around the world! All of the best-loved stories from the immensely popular The Lion Storyteller Bedtime Book and The Lion Storyteller Book of Animal Tales are collected here into one colourful volume. The Lion Storyteller Awesome Book of Stories by Bob Hartman was published by Lion Hudson Plc in June 2016 and is our 4443rd best seller. The ISBN for The Lion Storyteller Awesome Book of Stories is 9780745976365. 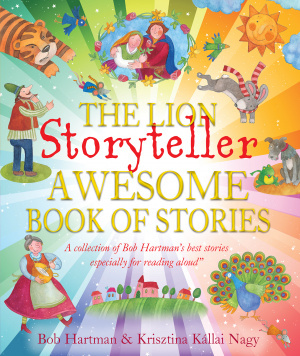 Be the first to review The Lion Storyteller Awesome Book of Stories! Got a question? No problem! Just click here to ask us about The Lion Storyteller Awesome Book of Stories.